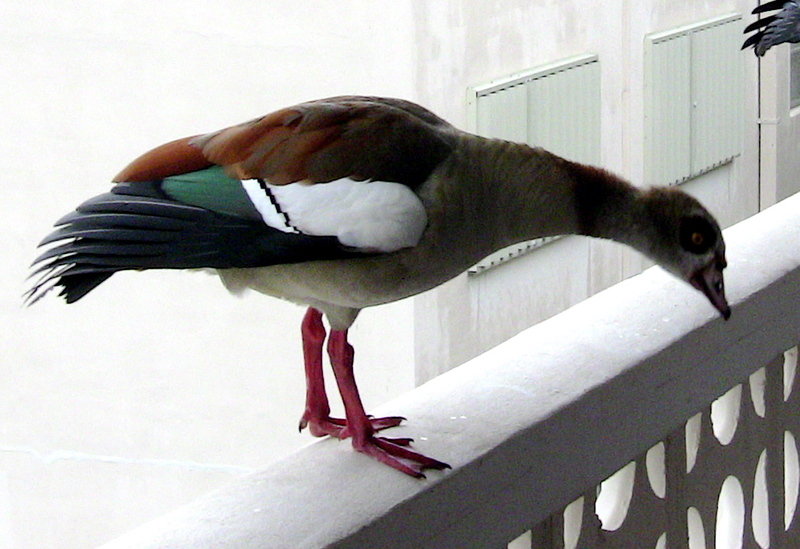 Naturally he knew right off what they were; Egyptian Geese. There was a pair out at the golf course that had flocked up with some muscovy ducks and some egrets. It got REALLY cold down here in Florida in December and January, so I bought a 50 pound bag of cracked corn for some extra calories to help them through the cold snap. They seemed appreciative. You wouldn’t believe the honking and fussing going on. Good God! Such a ruckus! And they certainly weren’t very afraid of me. I actually hand fed them a few morsels. It was so much fun having them visit. I hope they come back. I love their colors and the fuss they were kicking up. They were fun! 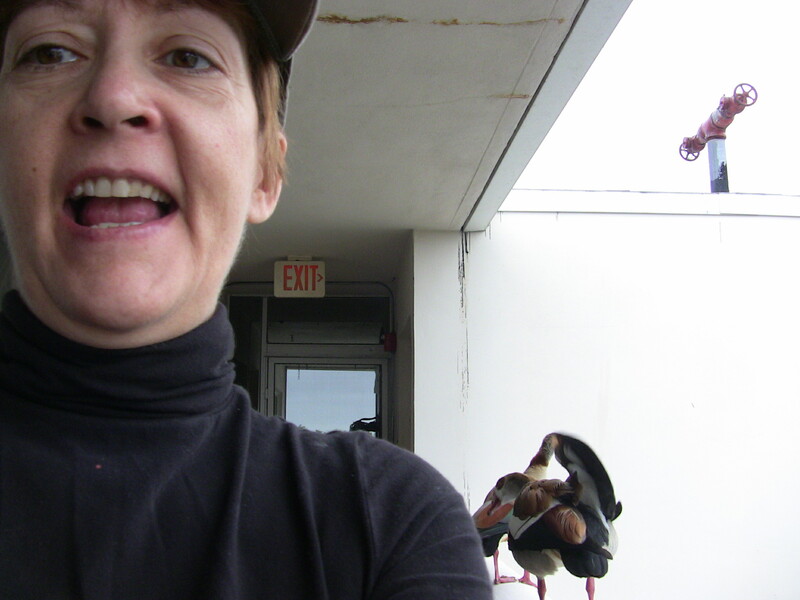 Patricia Sund is a Free-Lance Writer residing in Florida with her three African Greys. She has been published in About.com, Bird Talk Magazine, Birds USA, In Your Flock Magazine, Good Bird Magazine as well as numerous websites and newsletters. She is currently doing research for a book titled "Parrot Nation". Interesting looking geese. 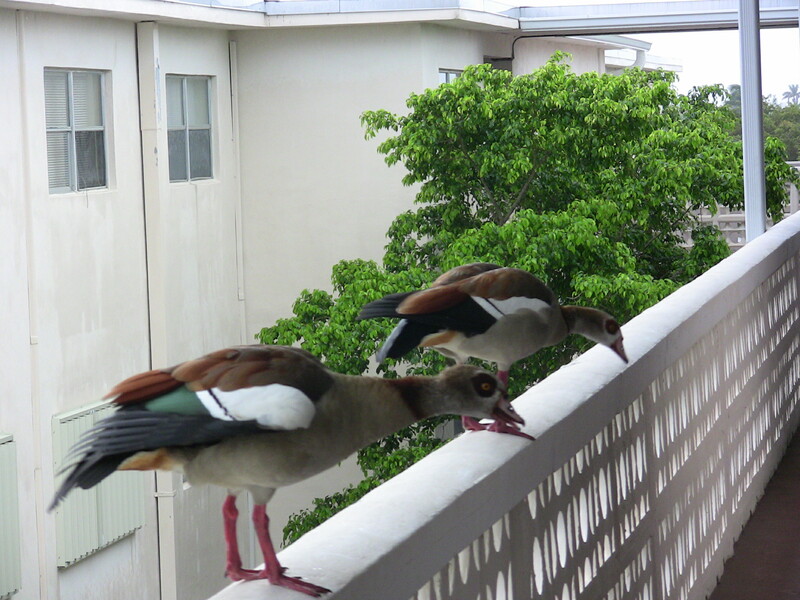 I have never seen Egyptian geese before. How funny that they landed on your porch. They must have felt that you would feed them. Your pics are very nice! For two days now, late at night, I have been hearing geese flying so spring must be coming soon to Buffalo area. There is a big geese reservation about 45 mins away from us so they must be coming back. Aren’t they Great? Anneka you won a prize! Go to the “Keeping Up Appearances” post where you posted a comment and let me know your address! You had a great suggestion! All the way from Egypt! Wow, we thought we traveled far for rare food delicacies! They obviously heard about that famous Chop of yours! They’re so pretty! 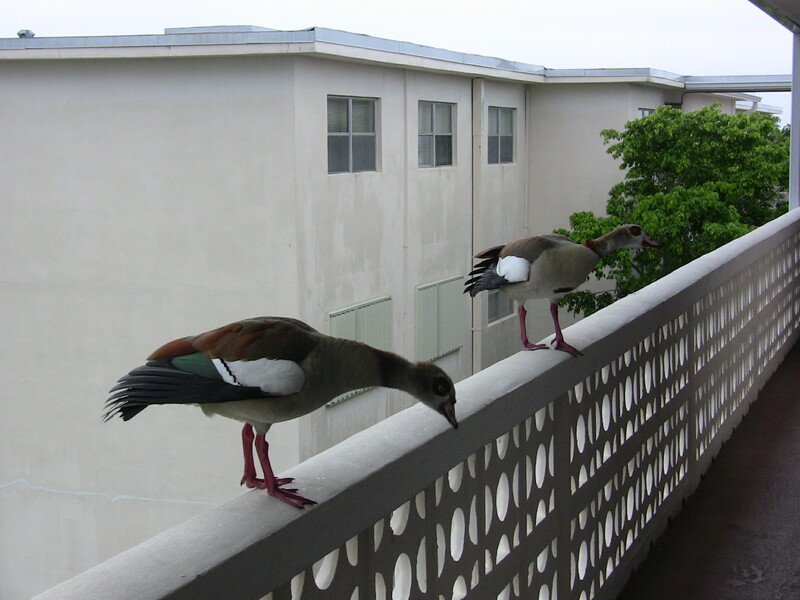 I saw Muscovies when I lived in Florida but I never saw these guys! They came to visit again yesterday. 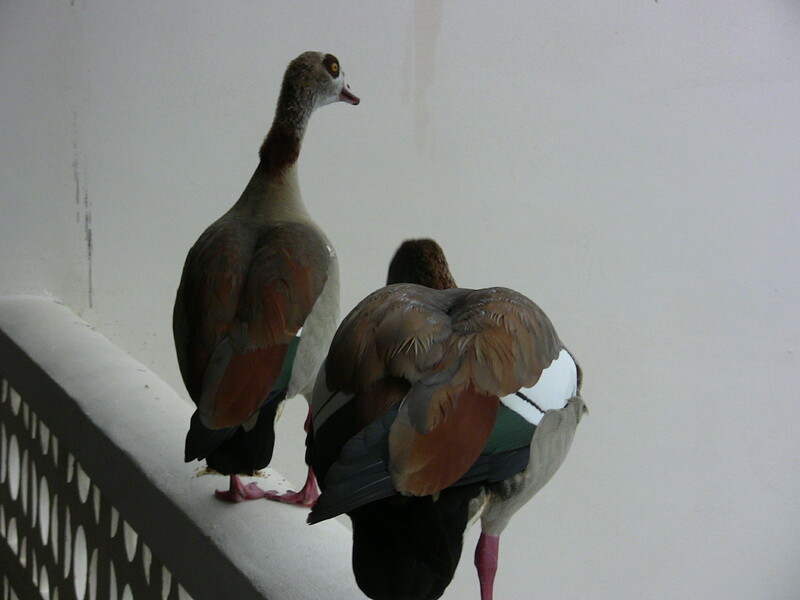 Word in “Gooseland” is that they have been doing counterintelligence on your pool parties and might be paying a visit. Might have something to do with the drink fountains you set up. 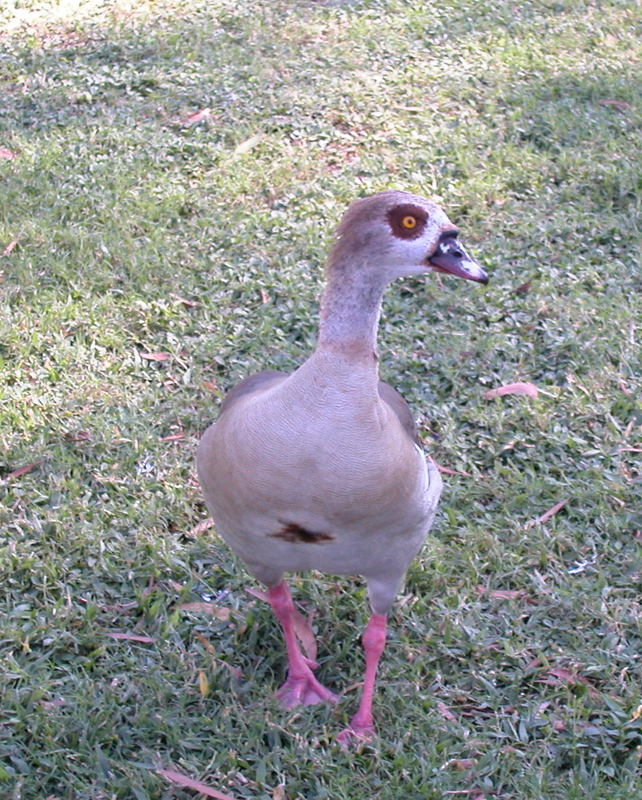 I don’t know, I don’t speak Egyptian “goose-speak.” By the way, expect a package with a very important paper enclosed along with your prize. And thank you for “flying by!” Always great to see what you’re up to!